Powder Diffraction software update The least squares refinement program RIBOLS is now available for download! 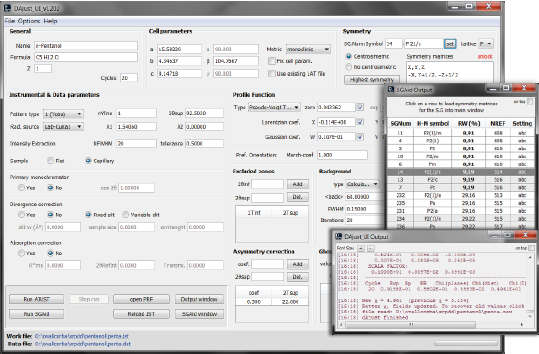 Intensity extraction and space group determination (DAJUST_Software). 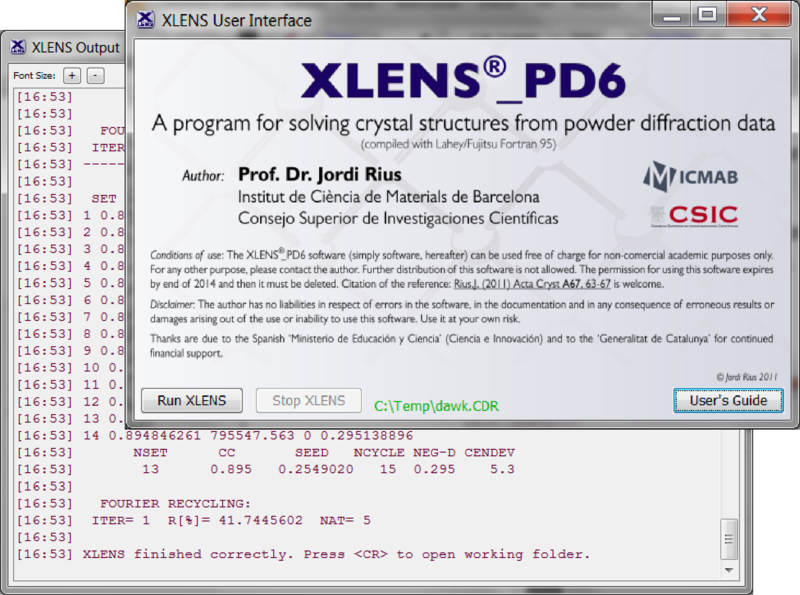 Crystal structure solution (Powder data: XLENS_PD6; Single crystal data: XLENS_v1). 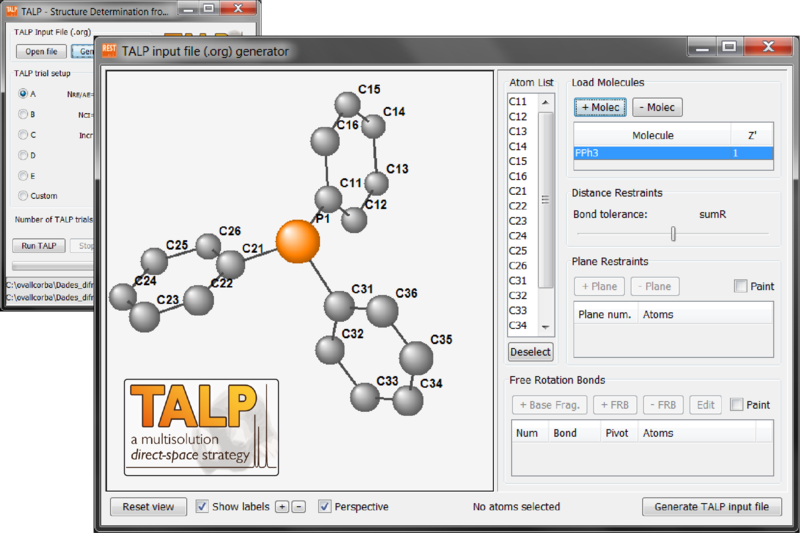 Crystal structure solution from Powder data using Direct-Space Methods (TALP). 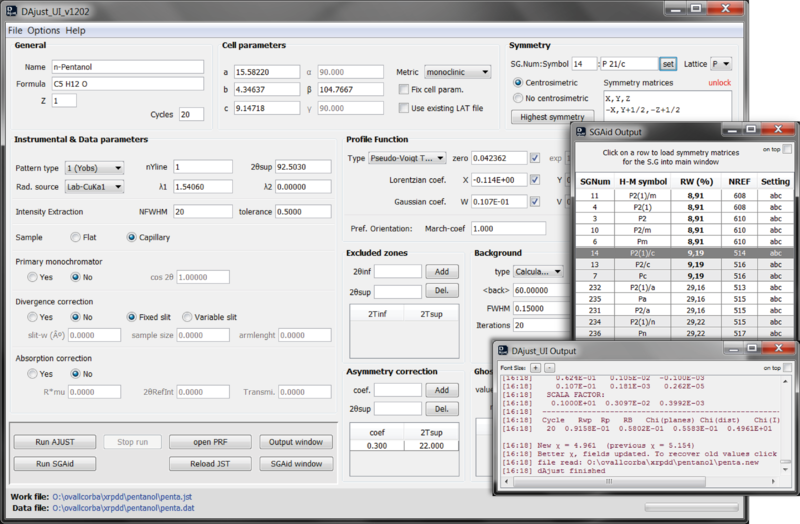 Crystal structure refinement from Powder data (RIBOLS). 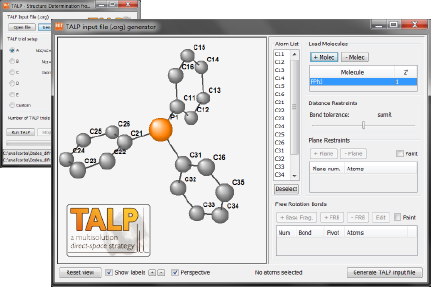 Software for crystal structure analysis from tts microdiffraction data (TTS Software). would be greatly appreciated when publishing works done with them. Disclaimer: This software is distributed WITHOUT ANY WARRANTY. 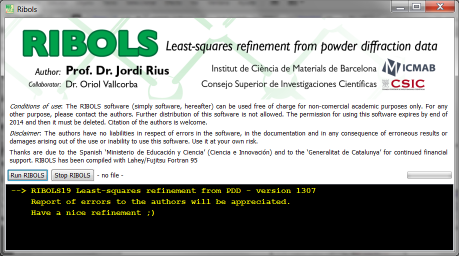 The authors (or their institutions) have no liabilities in respect of errors in the software, in the documentation and in any consequence of erroneous results or damages arising out of the use or inability to use this software. Use it at your own risk. To access the download page, please complete the following fields. This is just for control purposes and this information will not be used for other finalities. You must agree the conditions of use. Unzip the downloaded file (No installation required). 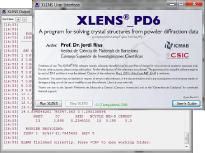 Each program includes its own user's guide with specific installation instructions (if any), a description of the functionality and sample files. Citation of specified references for each program would be greatly appreciated when publishing works done with them. For any question, please contact the authors.